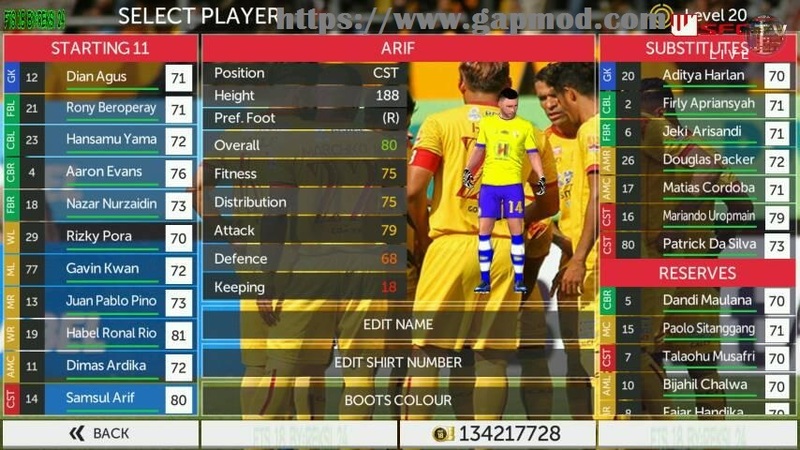 Download FTS 18 Mod Sriwijaya FC v2 by Reksi - Is a First Touch Soccer game in Android devices that have been in the mod. To get the latest player updates, it is necessary. FTS 18 Mod Sriwijaya FC v2 by Reksi Apk + Data Obb, Many new features that you would get in this FTS games. With a file size of around 269 Mb, you can already play it in your device. Just download now and play this Mod Sriwijaya FC v2 by Reksi! !